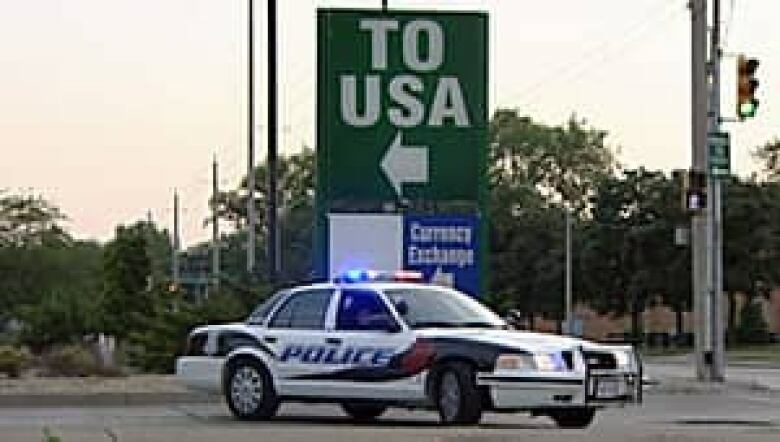 The president of the Detroit International Bridge Company suspects Monday's bomb threat against the Ambassador Bridge is somehow related to cuts to the Canada Border Services Agency. "We cannot confirm, but suspect that this is has something to do with Canada's disinvestment at the border by cutting back on customs agents," president Dan Stamper wrote in a statement to media. "The Detroit International Bridge Company remains vigilant in its efforts to ensure that all those who cross the Ambassador Bridge remain safe." 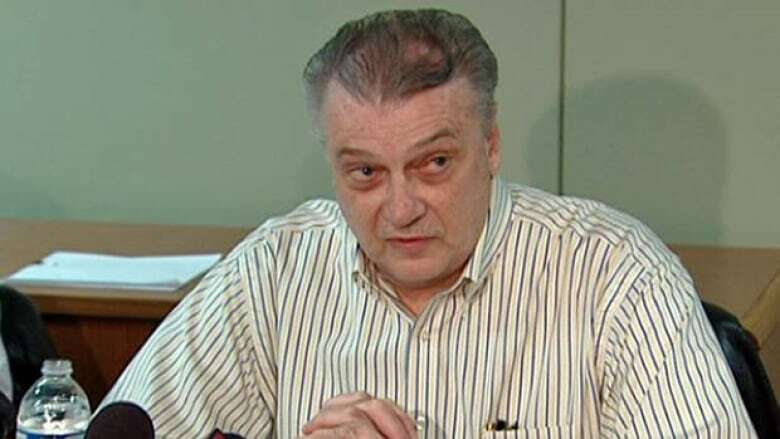 Jason McMichael, first national vice-president of the Customs and Immigration Union, called Stamper's comment "mindless rhetoric" and "so perverse, it's laughable." "Despite the fact they are faced with cuts and despite the fact they have been working without a contract for the last year, these folks go to work every day and protect the Canadian economy, Canadians and international travellers," McMichael said of his union's members. McMichael acknowledged there may be people who would suspect disgruntled border agents, but said he doesn't believe anyone related to the CBSA is responsible. "In my mind, it is out of the realm of possibly," he said. "What could possibly be accomplished that would — in any way, shape or form — aid my members?" A spokeswoman for the Ministry of Public Safety says there have been no cuts among guards who work on the bridge, though some 250 other CBSA workers were recently laid off. "CBSA is not eliminating any front-line border guards at the Detroit-Windsor Bridge," said Julie Carmichael. The Ambassador Bridge connecting Windsor and Detroit was closed Monday night because of a bomb threat. Detroit police said a 911 call came in around 7:20 p.m. ET Monday to authorities on the U.S. side of the Ambassador Bridge. The caller said a bomb would go off in 10 minutes along the busy freight crossing, police Insp. Don Johnson said during a news conference Monday night. The closure came four days after the Detroit-Windsor Tunnel was shut down for nearly four hours on July 12 because of a bomb threat. Monday’s bridge bomb threat came from the Detroit side of the border, while the threat against the tunnel originated from a payphone in Windsor, according to local police. Detroit police spokeswoman Sgt. Eren Stephens said early Tuesday that the bridge reopened at 1 a.m. ET after security sweeps failed to turn up any incendiary devices. Nothing was found at the tunnel last week either. Stephens said Detroit police are leading the investigation into the bridge threat and working with state and federal law enforcement agencies. Windsor police are working with U.S. authorities to deal with the threat, which came just before 8 p.m. ET. A one-kilometre safety zone was set up on either side of the bridge. Authorities in the U.S. used two vessels and two small boats to enforce the zone on its side of the border. Windsor police sent a vessel to secure the Canadian side of the international waterway. "We can’t speculate," U.S. Coast Guard Cmdr. Jeff Ogden said when asked whether there is a connection to the recent threat that shut down the Windsor-Detroit Tunnel. "No matter how many times we have to do it, we’ll maintain the safety of the public," Ogden said. "No one should fear any danger. There is great international co-operation here." Vehicles were rerouted to the tunnel, where traffic began backing up within an hour. Adding to traffic are Canadian fans returning from a baseball game in Detroit, where the Tigers hosted the L.A. Angels of Anaheim. The Ambassador Bridge is North America’s busiest border and a commercial lifeline for many manufacturers in southwestern Ontario and the U.S. Midwest. Chrysler Canada’s Windsor Assembly Plant, where minivans are built, depends on just-in-time delivery of product that crosses the bridge. Fortunately for Chrysler, its plants in Windsor and Brampton, Ont., were not operating Monday while closed for an annual shutdown. Within an hour, truck traffic bound for the U.S. was backed up more than four kilometres. Several truck drivers CBC News spoke with on Huron Church Road, which leads to the bridge, said they were told the wait will be at least six hours before the bridge opens. One enterprising woman took advantage of the situation. Christie Jewell was out on Huron Church Road enticing truckers to a local adult entertainment club that is along the major transportation route. "I’m basically inviting the boys in to be entertained," she said. "We know it’s going to be a long haul." Media in Detroit began reporting at 11:30 p.m. that the bridge would reopen at approximately midnight. In 2010, a reported 28,814 trucks crossed the privately owned Ambassador Bridge on a daily basis, with a trade value of almost $500 million US. Bill Anderson, the Ontario research chair in cross-border policy, said even now, 25 per cent of trade between Canada and the U.S. crosses the bridge on a daily basis. He called a threat against the bridge "much worse." "When you have the bridge shut down, there is a negative impact on the economy," Anderson said, calling the bridge "the single most-important crossing in the largest bi-lateral trade relationship in the world." "Every time a call comes like this, you have to take it serious," Anderson said. Ottawa and the State of Michigan recently came to an agreement to build a new international crossing between the two cities. Lydia Miljan, a political science professor at the University of Windsor, said the recent threats only make a stronger case for a second bridge to be located farther apart for security and strategic reasons. Anderson agreed. "This plays up the fact it would be better to have another bridge available," Anderson said. "At the present time, there isn't an alternate route. Having another bridge would be an advantage." No explosives were found following the July 12 threat to the 1.5-kilometre Detroit-Windsor Tunnel. In that instance, the threat was called in between 12:30 and 1 p.m. to the Tunnel Duty Free Shop near the tunnel's Windsor-side entrance, said Carolyn Brown, executive vice-president of the tunnel corporation. The caller simply said, "There's a bomb in the tunnel," police spokesman Sgt. Matt D'Asti said. He confirmed police dusted a payphone for fingerprints near the tunnel entrance on the Windsor side. The tunnel was evacuated in both directions and law enforcement personnel turned away pleasure boats and stopped freighters on the Detroit River. The tunnel, which connects downtown Windsor with Detroit, can handle as many as 2,000 cars an hour. It is used mostly by passenger traffic, tourists and businesspeople than for trade.